1. Detynets– the starting point of our state. The history of the Kyiv detynets goes back to the times of the heyday of the ancient Slavonic state Kyivan Rus – a name accepted by historians in the beginning of the XVIII century for the same application when referring to a superpower. 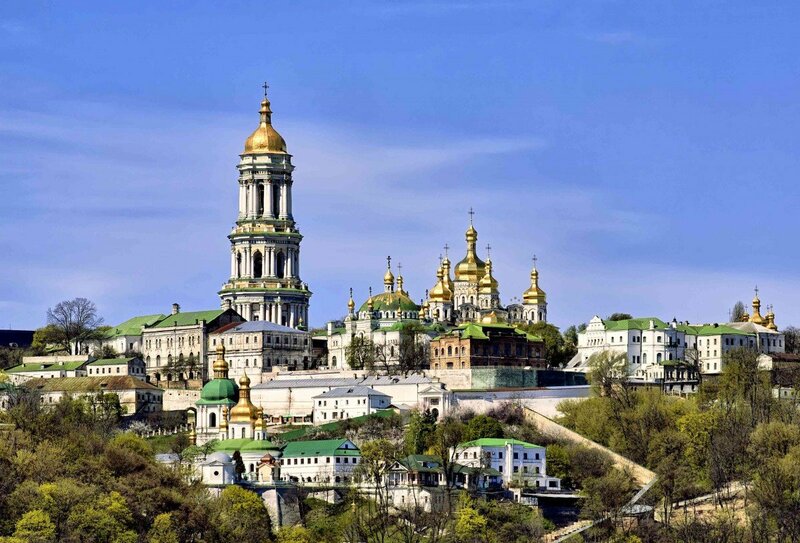 On the other hand, the Kyiv detynets are usually called historians “The City of Volodymyr” – by the name of Prince Volodymyr the Great, who built it during his reign (970-988). Despite the archaeological excavations, which say that the first settlements on the territory of Kyiv were founded in the VI century, Kyiv became the capital of the ancient state from the 6th -10th centuries. It was under Volodymyr the Great that the settlement acquired the appearance of a fortified city surrounded by an earthen rampart and a moat with wooden fasteners, with a stone gateway, and occupied an area of 10-12 hectares. Inside the city appeared the first stone houses – preserved until now the remnants of the prince’s palace of Princess Olga. The composition church of the city was the Tithe Church, built under Volodymyr Svyatoslavovych in 989-996. In the following centuries the fortifications of the detynets were renewed under Yaroslav the Wise (the protected area of the city was expanded to 70 hectares, the Golden Gate was built), then in the XVII century under Bohdan Khmelnytsky and in the XVIII century under Russian General-Field Marshal H.A. Minikh. The subsequent rapid development of the construction of Kyiv erased from the face of the earth the remains of ancient trees and the very detynets. 2. The Tithe Church – the first stone church of Kyivan Rus. It was built on the site where, due to the Prince Volodymyr’s order, two Christians – infant John and his father Fedir were sacrificed to Perun, the pagan god. 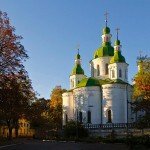 The church was built in 989–996 in the period of Volodymyr Sviatoslavovych reign, who allocated a tenth of the princely income for its construction, i.e. a tenth. Hence the name of the temple was arisen. The temple was established in honor of the Dormition of the Mother of God and was a cross-domed six-pillar temple. The Tithe Church was decorated with mosaics, frescoes, carved marble and slate slabs. Volodymyr Sviatoslavovych and his wife, the Byzantine princess Anna, were buried here, and Princess Olga’s ashes were brought here from Vyshhorod. At the end of 1240 hordes of Khan Batu, having seized Kyiv, destroyed the Tithe Church that was the last cache of Kyivans. During the brutal massacre, arranged by the Tatar-Mongols, many Kyivans tried to hide in the temple. Under the pressure of people, the church could not stand it and collapsed, the townsfolk were buried under it. In the 30-ies. of XVII century at the initiative of Petro Mohyla the Metropolitan, the first excavation began and the sarcophagus of Prince Volodymyr and his wife Anna were found. In 1635 at the initiative of P. Mohyla on the site of the Tithe Church, a church was built in honor of St. Nicholas, which stayed until 1824. It was a small church called the Church of the Nativity of the Most Holy Theotokos, and Mohyla left a thousand gold pieces after the death for the restoration of the Tithe Church. The construction of a new church (1828-1842) in Byzantine-Moscow style, which had nothing in common with the original structure, cost more than 100 thousand rubles in gold. The iconostasis was made from copies of icons of the iconostasis of the Kazan Cathedral in St. Petersburg. Several bricks of the Church of the Tithes were laid on July 31, 1837 in the foundation of the Red Corps of Kyiv University, which was supposed to symbolize the connection of Kyiv University St. Volodymyr with the enlightenment legacy of the Prince of Equal-to-the-Apostles, as the Baptist of Russia. In 1928 The Tithe Church was destroyed by the Soviet authorities. Archaeological findings are kept in the preserve of the Sofia Museum, in the National Museum of Ukrainian History. Nowadays, the decision to abandon the restoration of the building. The complex of archaeological excavations is, like the whole complex of Sophia of Kyiv, under the protection of UNESCO. 3. The Western (Grand) Palace – a palace that occupied a small square and was represented in front of the Tithe Church, contemporaries were amazed with its luxury and splendor. The western side of the palace was supposedly the main residence of Prince Volodymyr. The longitudinal axis of the Tithe Church is exactly perpendicular to the axis of the palace. Probably, in front of the Tithe Church four horse sculptures, brought by Volodymyr from Chersonese were installed. The same situation is in Constantinople, where the four famous horses of Lysippos the sculptor, taken out of Olympia and installed in front of the St. Sophia’s Cathedral. Analyzing the nature of the divisions, we can assume that the total length of the building reached 70–72 m. The central, almost square in the plan room (9*8 m in internal dimensions) was obviously the lobby of the palace, where staircases could be placed on the 2nd floor. The premise was covered more likely by a tent top. On both sides to the central room the elongated wings in the plan were adjoined. Perhaps the facades of the lower floor had open arcades in front of the main halls, on the upper – there were living quarters. The brick parts of the walls were not preserved, but due to the fragments of the brick it is evident that it was similar to the brick of the Tithes Church. 4. The Southern Palace is located from the southwest at the corner of the Desiatynna Church, separating the square from the main street of the city. It could probably be the Prince’s reception , that is, the main hall where his warriors used to gather. The palace had a three-part layout: the middle room was extended length-wise, while 2 square rooms were extended side-wise. The foundation was laid relatively shallow (60 cm) very large thick at the same time (170 cm). The foundation, masonry and bricks of this building are the same as the ones of the Western Palace. In the central room, there was supposedly a large hall and in the side ones there were towers with stairs to the 2nd floor. 5. The Golden Gate – the only gates, that have survived since the times of Kyivan Rus. The Golden Gate appeared in the time of Prince Yaroslav the Wise and is mentioned in the annals of 1037. This is the oldest defensive structure of Kyivan Rus, served as the main gate of ancient Kyiv, and today it is a symbol of the capital and one of its main sights. If you come from Zolotovoritska Street and look inside through the iron hertz, you can consider the remains of ancient pylons of different lengths (east – 24 m, western – 13 m), laid out in ancient Byzantine technique “opus mixtum”. Also preserved fragments of the rivets, made in the masonry technique of the 11th century. These are traces of fortification structures that appeared after the deformation of the walls and arches after attempts to storm. 6. St. Sophia’s Gates – Gradsky (Batu’s) Gates, built in the late 10th century during the creation of the defensive system of the Upper City, i.e. the city of Volodymyr. Through the gates the hordes of Baty burst into detynets. The foundations of the Sophia’s Gate were two parallel walls 6 meters long. A high arched passage of 4 meters wide and, probably, a drawbridge were located under the quadrangular gate tower. The design of the St. Sophia’s Gates was originally made of wood and consisted of stands, erected in two tiers with gate towers- strelnitsas, which were crowned by pyramidal roofs with convenient platforms for shooting from bows and crossbows (old Russian crossbows). Only later, by 1017-1026, the gates were dismantled and re-erected from the plinth and stone, becoming the key entry point for the defense of the city of Volodymyr. The ruins of the gates were dismantled in 1798. The foundations of the gates are marked with red quartzite at the corner of Velyka Zhytomyrska and Volodymyrska Streets. 7. The St. Sophia’s Cathedral – the greatest architectural structure, built by Yaroslav the Wise the Grand Prince in 1037. It preserved until now not only the richness of ancient architecture, but also the picturesque decoration of the 11th century, mainly mosaics and frescoes. Religious and state ideas of that time were embodied in the artistic image of Sophia of Kiev. The ensemble of mosaics is decorated with the main altar of the St. Sofia’s Temple. Entering the Cathedral, the glance is captured by the majestic figure of the praying Virgin of Oranta (Divine Wisdom), located in the vault of the altar. Frescoes of St. Sophia’s Cathedral are an interesting source of information about the life of the prince’s court and that way of life. They are the only preserved collection of paintings from the period of Kievan Rus. There are graffiti, i.e. ancient Russian inscriptions, which are the most important document of the dating of murals, on the walls of the cathedral. Apparently, the central part of the building works was performed in the 40’s, and in the galleries – in the 60s of the 11th century. Along with the famous ensembles of Ravenna, Venice, Montreal, Daphne, Palermo, ancient Constantinople, they occupy a prominent place in the treasury of world culture. St. Sophia Cathedral is included in the UNESCO’s World Heritage List. 8. St. Cyril Church – the second church after St. Sophia Cathedral, preserved from the times of Ancient Rus in its original form. It is a unique monument of architecture and monumental painting. The church was founded by the prince of Chernigiv Vsevolod Olgovych in the first part of the 12th century and was the ancestral family vault of the Olgovychi. The church is named after St. Cyril, the patron of the prince. According to the origins the first burial place (of Vsevolod’s wife) dates back to 1179. In 1194 the prince of Kiev Svyatoslav Vsevolodovich was buried here. Frescoes of the 12th century, paintings of the 17th century and oil frescoes of the 19th century still exist in this church. During the restoration in the 17th-18th centuries the church acquired the features of Ukrainian Baroque. Nearly 800 square meters of old Russian frescoes, which have no analogues in any of the monuments of the Orthodox Christianity, have been preserved till this time. A special place among the oil paintings made during the restoration in the 19th century takes the works of the famous Russian artist Mikhail Vrubel, whose Mother of God is compared with the Sistine Madonna. 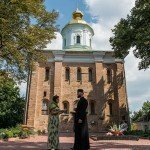 Since 1929, the church was declared a historical and cultural reserve, and since 1965, is part of the reserve “Sophia of Kyiv”. Today the church is not only a museum, but a functioning temple. 9. 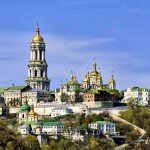 Kyiv-Pechersk Lavra – was founded in 1051 by the monk Anthony, who created here the first prayer communities, settling in the caves of the future Pechersky monastery. It is from the caves that the monastery takes its name. At the request of Antony, Prince Izyaslav gave the monastery territory, which includes the whole mountain above the caves. In 1062 the monastery was called Pechersky. Since the end of XI century. began to build-up the territory of the monastery. The Assumption Cathedral, the Trinity Gate Church and the Refectory were built. 10. Vydubytsky Monastery – located in the Vydubychi tract, on a hill above the Dnipro. According to the legend, the pagan idol of Perun, thrown into the Dnipro by Prince Vladimir, was “poured out” on the shore. According to other sources, the name Vydubytsky comes from the crossing over the Dnipro. The boats were called oaks, since they were made of solid oak. In addition, the origin of the name could serve as an underground monastery, which later “poured” on the surface. Vydubytsky Monastery was founded in the XI century by the son of Yaroslav the Wise – Prince Vsevolod Yaroslavovych. 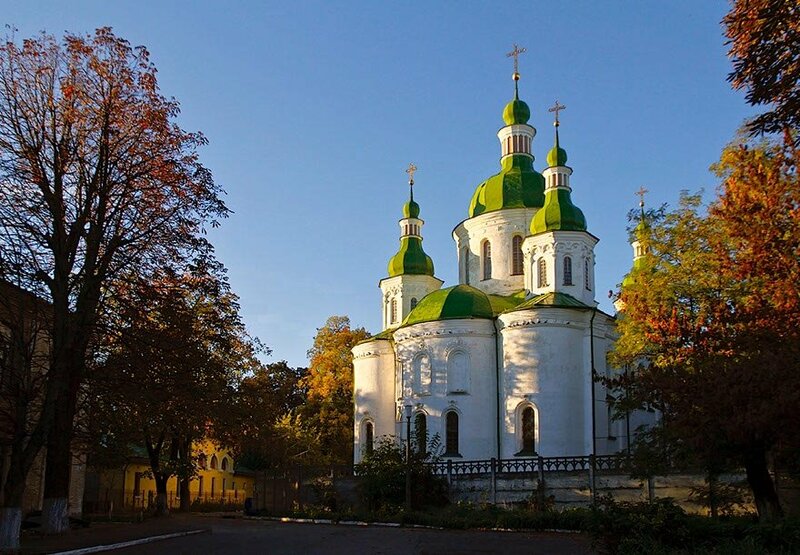 The cathedral itself was laid in 1070 on the slopes of the Dnipro River and partially preserved until our days. In 1199, the temple was fortified with a retaining wall to protect against landslides. 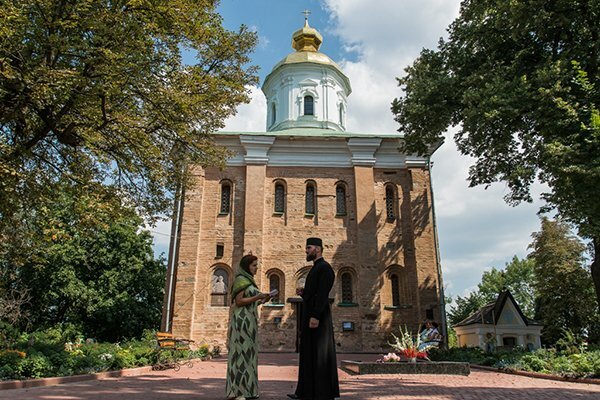 The monastery was not only a spiritual centre, but also the centre of the secular life of Kyiv – here princes held talks, scientists and chroniclers worked. In the XVI century because of landslides, part of the temple collapsed and was rebuilt in the XVII century by metropolitan Petro Mohyla. Up to now, there are two walls with a characteristic laying of the period of Kyivan Rus. In the 1970s during the restoration in the cathedral under a layer of frescoes of the XVII-XVIII centuries was discovered the painting of the 11th century. In 1696 -1701 years. St. George’s Cathedral was built in the monastery, where the relics of St. George, Barbara the Great Martyr, John, etc. are represented.Also, the Church of the Transfiguration of the Lord was built, which is famous for its unique carved iconostasis, made in the form of a family tree. Previously, there was a cemetery on the territory of the monastery. 13 graves have been preserved until now., among which are the graves of the famous teacher K.D. Ushynsky and the couple Khanenko. On the territory there is a well with healing water.